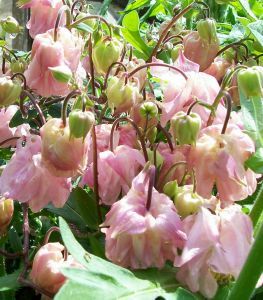 'Nora Barlow' is an erect plant, with divided, dark blue-green leaves and nodding, spurless, double flowers 2-3cm in width, composed of many narrow, dull deep pink and pale green petals. 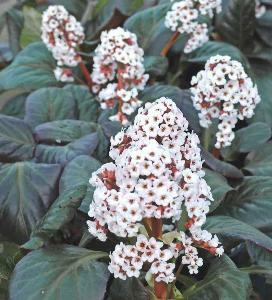 This popular herbaceous perennial will tolerate any half decent soil. 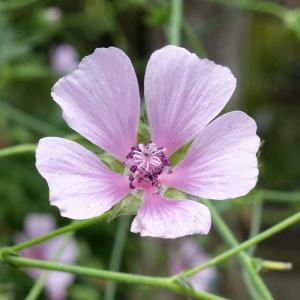 Growing in full sun and growing to around 80cm tall, cut back dead stems in autumn and don't be surprised if this plant self seeds. 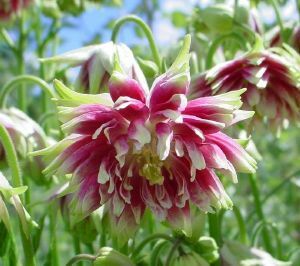 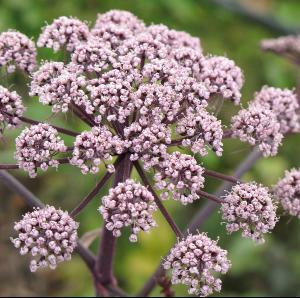 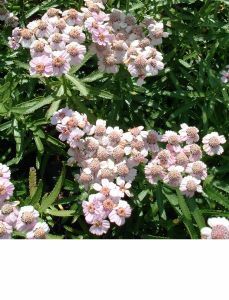 Ideal for informal cottage planting where it can seed and spread at will.